Deception is one of nature’s long-standing survival strategies. All of the unfolding darwinian extravaganza of life uses deception to survive — even at the level of microorganisms. And, as any ten-year-old already knows, when it comes to human behaviour, things are rarely as they seem. There are deceptions. There are hidden motives and hidden agendas. There are people ‘behind the scenes’. There are manipulators. There are scapegoats. There are turncoats. There are the actively disengaged. There are traps and ambushes. There are willing or paid agents. There are big investments and potential payoffs. There are opportunists and there are traitors. Little wonder that situations are rarely how they seem. Rarely how they are portrayed. Nor are they what they seem to be on the surface. So what can you do? What can you use to find out what’s really happening in complex situations? What investigative tools can anyone use? One ancient and clever tool is called cui bono. The power of the cui bono is the most likely answer to the question: who benefits? This is always a very useful question to ask. However, because of the very nature of deception there is not always a very obvious answer to that question. Investigative journalism and criminal investigations may invest considerable resources in trying to construct comprehensive answers to the cui bono. They are trying to find out: who benefits most from the crime or situation that we are investigating? When you are trying to uncover a much better understanding of the truth you can use the Cui Bono test. Whenever you find yourself looking to allocate suspicion or blame to agents involved in a situation ask yourself if they have passed the Cui Bono Test. To apply the Cui Bono Test you carefully ask the questions: How did that agent benefit? Who else benefited? Who benefited more? Who benefited the most? Of course, some situations can be very complex and they may require answers to many more questions than this but cui bono is always a useful place to start. The American Constitution delivered the Trumps. The Australian Constitution delivered the Windsors. Compare the constitutions! So, the evidence shows that the Australian Constitution works better than the American Constitution. 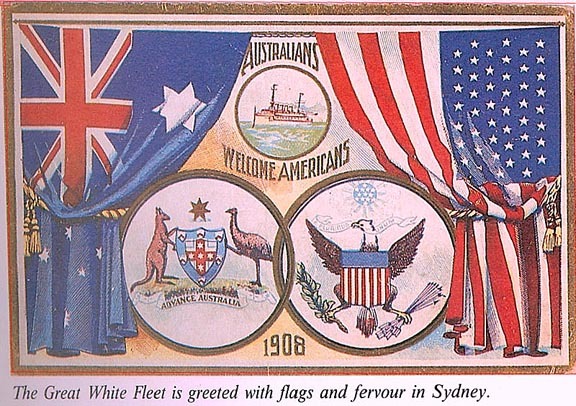 We all laughed and agreed, however, that none of this makes any difference to the excellence of the Australia America alliance over the last century. The Science Symposium of the School of Thinking is a world class panel of science, innovation and R&D thought leaders. They meet quarterly to review the SOT strategic initiatives for 2017/2018. The seven members of the Science Symposium are Sir Gus Nossal, Professor David Penington, Dr Graham Mitchell, Dr John Stocker, Mr Michael Taylor, Mr Peter Turvey and Ms Maria Deveson Crabbe. John Stocker has a distinguished career in pharmaceutical research and extensive experience in management of research and development and in its commercialisation. Dr Stocker is Chairman of the Science and Engineering Advisory Committee, Environment Protection Authority of Victoria. Recently he was a Director of Telstra and a Board member of Wine Victoria. Before that he was Chief Executive of CSIRO and the Australian Government’s Chief Scientist and a member of the Board of The Walter and Eliza Hall Institute for Medical Research. He was appointed an Officer in the Order of Australia in June 1999 and was awarded the Centenary Medal in 2003. Maria is an experienced CEO with over 20 years of expertise spanning across the corporate, private industry and social enterprise sectors. Maria has achievements in business start-ups, new business development and in driving innovation and organisational growth in well-established organisations; with strengths in marketing and brand strategy, operations, service delivery, FMCG and supply chain improvement.â€¨â€¨ Maria was the Founding CEO of Aussie Bodies. Under her leadership, Aussie Bodies achieved its number one status within the sports nutrition FMCG category. As CEO of Marie Stopes International Australia, she launched the not for profit pharmaceutical company, MS Health and was the driving force behind the successful registration of RU486 by the Therapeutic Goods Administration. â€¨â€¨As CEO of MSI’s Australian operations, Maria led a change management process to integrate Australian clinic and pharmaceutical operations. She designed a corporate social responsibility model that ensures a percentage of operational profits are donated to program activities, with donations scaling up substantially over the past few years. As Regional Director Maria is accountable for operations in the Philippines, Vietnam, Myanmar, PNG, Timor Leste, Cambodia, China and Mongolia.â€¨â€¨ Maria won the 2014 Telstra Business Women Award for Community and Government (Victoria) and the 2014 Australian Financial Review’s 100 Women of Influence. In 2016 Maria was appointed an Honorary Fellow, Nossal Institute for Global Health, Faculty of Medicine, Dentistry and Health Sciences, The University of Melbourne. What are the Limbic Games? I sometimes think of the ways we respond emotionally to situations and how we can use our cvs2bvs thinking to manipulate or change our emotional responses in our mammal brain. I call these ways to change, The Limbic Games. Self-attention, shame, shyness, modesty, blushing.